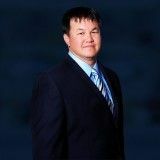 Justia Lawyer Directory Search for "Michael C. Li"
Search for "Michael C. Li"
Michael C. Li is a successful personal injury lawyer with years of experience in criminal defense. A prior prosecuting attorney, Li was able to gain unique experience with how the justice service works in Northern California. Now at his own law office, Michael Li has helped thousands of clients get back on their feet after being charged with a crime. Handling cases such as personal injury, auto accidents, motorcycle accidents, and slip and fall, Mr. Li will work with you and your case to help represent and protect your future. (312) 986-3226	175 W. Jackson Blvd.